We are so excited for the release of Disney’s Ralph Breaks the Internet so we are celebrating by having a Ralph Breaks the Internet-themed day with the kids! 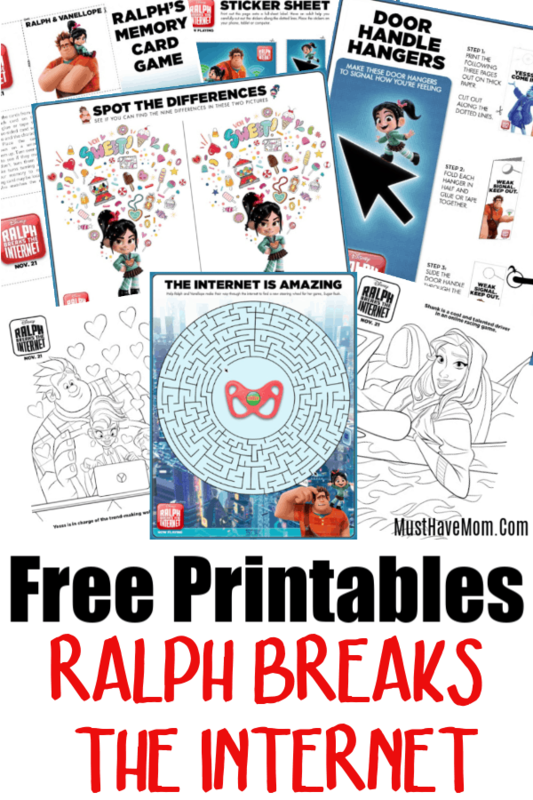 We have rounded up all the best Ralph Breaks the Internet free printables, food ideas and of course, I’ve set up an awesome giveaway for YOU too! Join us in the fun! The long-anticipated Ralph Breaks the Internet is coming to DVD finally and we are looking forward to owning it. It is available on Digital 4K Ultra HD™ and Movies Anywhere on Feb. 12 and 4K Ultra HD and Blu-ray™ on Feb. 26! Go here to order it on Amazon now or watch it on demand! 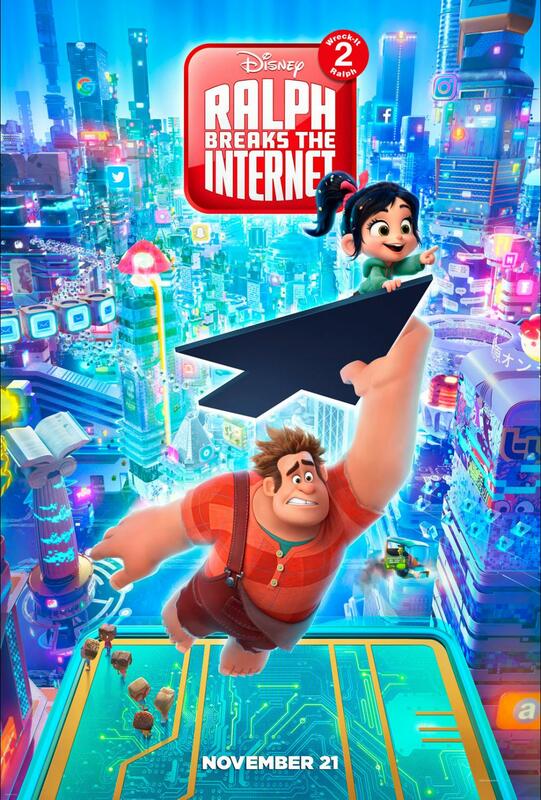 Be sure to keep reading this post to find out how you can win your own copy of Ralph Breaks the Internet. 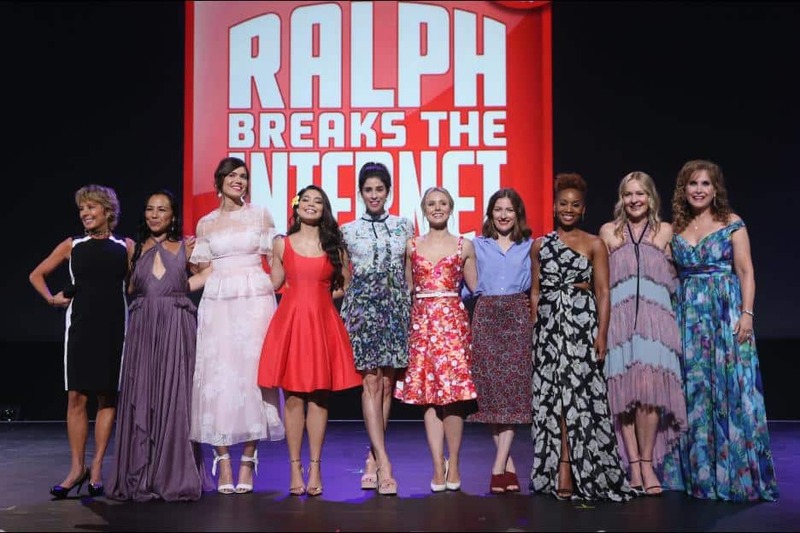 The Ralph Breaks the Internet cast includes a star-filled lineup! Directed by Rich Moore (Academy Award Ò-winning “Zootopia,” “Wreck-It Ralph”) and Phil Johnston (co-writer “Wreck-It Ralph,” “Zootopia,” writer, “Cedar Rapids”), and produced by Clark Spencer (“Zootopia,” “Wreck-It Ralph,” “Bolt,” “Lilo & Stitch”), “Ralph Breaks the Internet” welcomes back favorite cast and characters introduced six years ago! Gal Gadot – voice of Shank, a tough-as-nails driver from a gritty online auto-racing game called Slaughter Race, a place Vanellope wholeheartedly embraces — so much so that Ralph worries he may lose the only friend he’s ever had. Taraji P. Henson 0 voice of Yesss, the head algorithm and the heart and soul of the trend-making site BuzzzTube, makes Ralph a viral sensation. It is no secret that I love doing themed nights for our family movie nights. 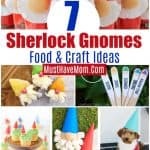 It adds an extra level of fun when you offer crafts and even snacks that fit along with the theme of the movie. 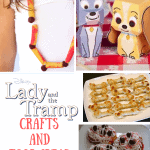 We had a Beauty and the Beast party, a Bambi movie night with lots of Bambi food and crafts, and even a Moana movie night with fun Moana food ideas. All complete with food and crafts to really make a fun night in even more special. Now we are gearing up for another movie night with the long-awaited follow up to Wreck it Ralph. Start your family movie night off with these Ralph Breaks the Internet free printables! 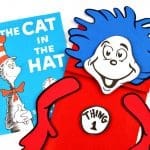 We have everything you need to please kids of any age including, coloring pages, activity pages, a DIY costume template, memory game and MORE! They are the perfect thing for before the movie or to even keep little ones occupied while you watch. Grab all of these printables for free by entering your email below. We’ll send them to you and you’ll be taken directly to them so you can print them off right away! If you print a lot then make sure you check out my free printer ink hack! Go all out for your movie night by having breakfast for dinner. 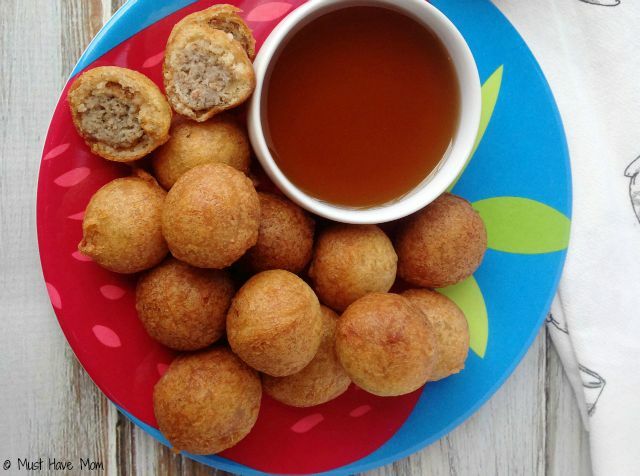 We love these sausage pancake breakfast bites. Pair with fresh fruit and some scrambled eggs for a full meal. Of course, no movie night is complete without dessert. 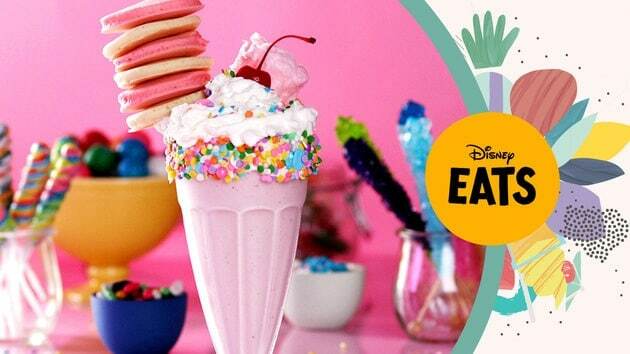 This Ralph Breaks the Internet Pancake Milkshake from Disney Eats looks amazing! Why are you excited for the Ralph Breaks the Internet release? Boss Baby Party Idea! 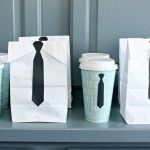 Espresso and Donuts with Free Printable Ties! Great movie, we loved the Disney princess scene!! We love watching movies when we get down time! My kids loved both of these movies. We have the first movie and this one is on my kids wish list! My family loved the first one and really wanted to see the second when it was in the movie theater but it didn’t work out. I’m excited about the Disney princesses featured in the movie. Because I loved the first one and haven’t had the chance to see this one yet! Because my kids and I loved the first one! I love Wreck it Ralph and didnt makenit to theater to see this sequel. It looks great for the whole family!!! I’m excited because I loved Wreck It Ralph and want to see the sequel. I’m excited because I loved the first one. Everyone in my family is a huge fan of Wreck It Ralph and we have seen it (as a family) no less than 15 times. Although the kiddos have watched it many more times on their own. We did not get a chance to see Ralph Breaks the Internet in the theater and we really want to watch it during one of our family movie nights. My son and I loved this movie! We saw it in theartes and my daughter has just been itching to watch it again! It was soooo good! Thanks so much for the chance! We’ve seen the first one but haven’t seen the second one yet and can’t wait to see where the internet turned takes Ralph! I am very excited but my son is the most. He loves the trailers I havent ever seen him this excited about a movie or show! Awe that is so awesome!